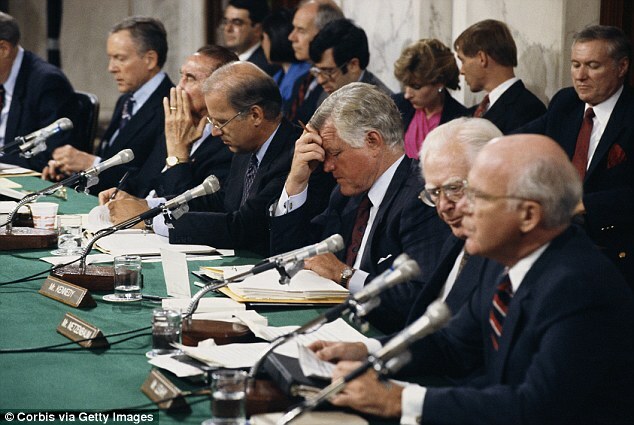 Nearly 27 years ago, Senators Chuck Grassley, Orrin Hatch, Mitch McConnell and Richard Shelby were on the Judiciary committee. Eighty five year old ,Senate Judiciary Committee Chairman Chuck Grassley (Iowa) said Wednesday that he doesn’t doubt Christine Blasey Ford believes she was assaulted by Supreme Court nominee Brett Kavanaugh in high school. “I don’t doubt that she believes what she says, and in fact, I have a responsibility to give deference to that, at least until I hear it, and to make a determination afterwards if it is possible to make a determination,” “Nothing the F.B.I. or any other investigator does would have any bearing on what Dr. Ford tells the committee, so there is no reason for any further delay,” “The FBI does not make a credibility assessment of any information it receives with respect to a nominee,” . In 1991, Senator Grassley discussed the need for the FBI to investigate allegations made by Anita Hill. He said it was the right thing to do! A few days ago, 84 year old Utah Senator Orrin Hatch said, Christine Blasey Ford may be “mixed up about the alleged incident. He went on to say, he know’s the Judge (Kavanaugh) very, very well , is an honest man, this didn’t happen! There is “some question” whether Ford is mixed up and confusing Kavanaugh with someone else. Seventy six year old, Senate Majority Leader Mitch McConnell focus is on the Democrat’s. He claimed they leaked these allegations “at the last minute in an irregular manner” as a delaying tactic. Senator McConnell, voted for Clarence Thomas in 1991 , he called Thomas a winner for emerging from Hill’s unproven allegations..
Eighty four year old,Senator Richard Shelby of Alabama. Through his spokesman, says he believes the sexual assault accusations against Supreme Court nominee Kavanaugh are serious, and wants to see the Senate Judiciary Committee get to the bottom of the claims. Senator Shelby was one of the few Republicans who did not support Alabama Senatorial candidate Roy Moore. In 1991, Democratic Senator Richard Shelby supported Clarence Thomas. Thomas nomination proceeded to the Senate Judiciary Committee’s confirmation hearings. The first few days of the hearings were relatively uneventful. When asked about his stance on legal abortion, Thomas claimed that he had not formulated an opinion and the issue was dropped. After a few more days of outside testimony, it appeared as if the Senate committee would easily confirm the Thomas nomination. The committee split its vote, however–seven to seven, and the nomination went to the Senate without a clear recommendation. When the nomination moved to the floor of the Senate, it took a sudden and dramatic turn when Anita Hill, a law professor at the University of Oklahoma, came forward with accusations that Clarence Thomas had sexually harassed her. Hill had worked for Thomas years earlier when he was head of the Equal Employment Opportunities Commission. Hill charged that Thomas harassed her with inappropriate discussion of sexual acts and pornographic films after she rebuffed his invitations to date him. A media frenzy quickly arose around Hill’s allegations and Thomas. In early July 2018, after Judge Brett Kavanaugh was reported to be on the shortlist for the Supreme Court . Christine Blasey Ford contacted both The Washington Post via a tip line and her Representative Anna Eshoo. On July 20, after Kavanaugh became the nominee. Eshoo met with Ford, becoming convinced of her credibility and noting that Ford seemed “terrified” that her identity as an accuser might become public. Thereafter, Eshoo and Ford mutually decided to take the matter to Senator Dianne Feinstein , one of Ford’s Senators in California and the ranking Democrat on the Senate Judiciary Committee, which would deliberate Kavanaugh’s nomination. In a letter to Feinstein, Ford alleged that Brett Kavanaugh had sexually assaulted her when both were in high school, and stated that she expected her story to be kept confidential. 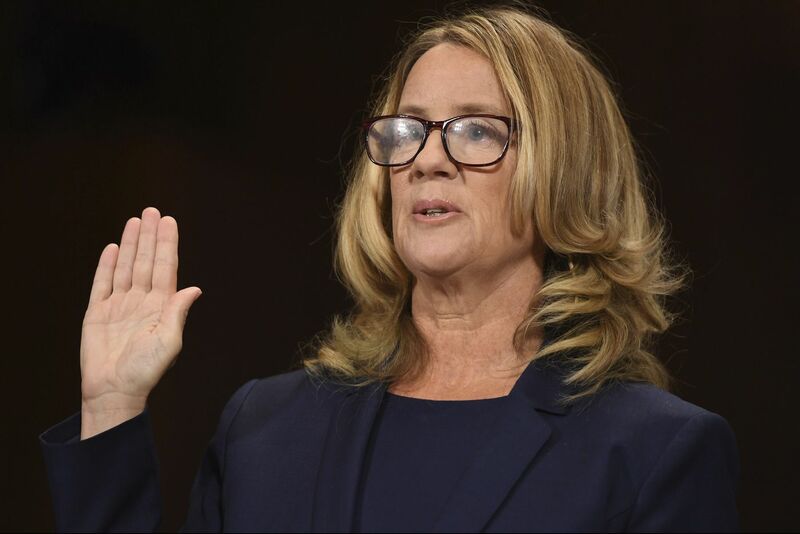 In August, Ford took a polygraph test with a former FBI agent, who concluded Ford was being truthful when attesting to the accuracy of her allegations. Owing to her confidentiality commitment to Ford, Feinstein did not raise the issue in the initial Kavanaugh confirmation proceedings. On September 12, it was reported (without naming Ford) that Feinstein was withholding a Kavanaugh-related document from fellow Judiciary Committee Democrats. Feinstein then referred Ford’s letter to the FBI, which redacted Ford’s name and forwarded the letter to the White House as an update to Kavanaugh’s background check. The White House in turn sent the letter to the full Senate Judiciary Committee. On September 16, 2018, after media reported anonymous allegations and reporters started to track down her identity, Ford went public. She spoke to The Washington Post, alleging that Kavanaugh had sexually assaulted her in the summer of 1982 when she was 15 and he was 17. As corroboration of her account, Ford provided The Post with the polygraph as well as session notes from her therapist written in 2012. The therapist’s notes also say four boys were involved, which Ford attributed to an error by the therapist; Ford said in 2018 that four boys were at the party but only two were involved in the incident. [ Kavanaugh has categorically denied Ford’s allegations. What did Christine Blasey Ford Win For Coming Forward? 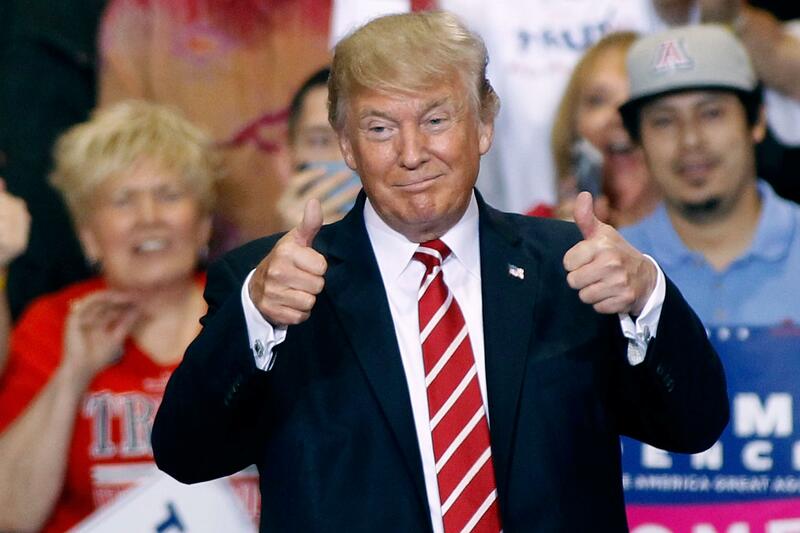 December 2017, Donald Trump endorses Alabama Senate candidate Roy Moore . Moore was running for the seat vacated by newly appointed Attorney General Jeff Sessions. During the campaign, Beverly Young Nelson said that, in December 1977 or January 1978 when she was 16, Moore sexually assaulted her. She said that when she fought him off, he eventually gave up, telling her, “You’re just a child, I’m the district attorney. If you tell anyone about this no one will ever believe you.” Moore denied Nelson’s accusations and that he even knew her at all. One of the women accused him of sexual assault when she was 14. Moore was 32 at the time. Moore said all the allegations were false. The Majority of high ranking Republicans including Mitch McConnell, Paul Ryan and Mitt Romney asked Moore to abandon his campaign. Trump said Moore should step aside if the charges are true. However, unlike the other Republicans. Donald Trump formally endorsed Roy Moore. In February , White House staff secretary, Rob Porter resigned after his two former wives accused him of physical abuse when they were married to him. Staffers knew, the accusations contributed to a delay in granting him a permanent security clearance. Porter said , the allegations are simply false,” even as details of the alleged abuse and photographs of one of his former wives with a black eye that she said he had given her were widely circulated. In 2018, women are still fighting for equal pay. In the last 20 years reproductive rights have been under attack in many red states. Health care for the poor is not available in other states. This will not change until there are more women in office. Until there are more women in office the government will be on the wrong side of women.